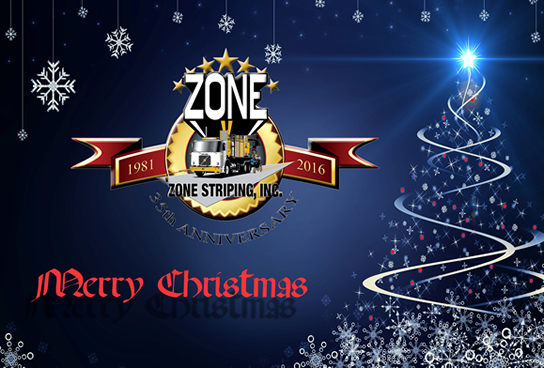 As 2016 comes to an end, I would like to thank all the employees of Zone Striping, Inc. for their contributions to our effort to provide a level of service and quality not found elsewhere in our industry. I would also like to thank our customers for their continued confidence in Zone Striping, Inc. project after project, year after year. As our 35th year draws to an end, I would like to wish everyone a Merry Christmas, Happy Holidays and a safe and healthy 2017.